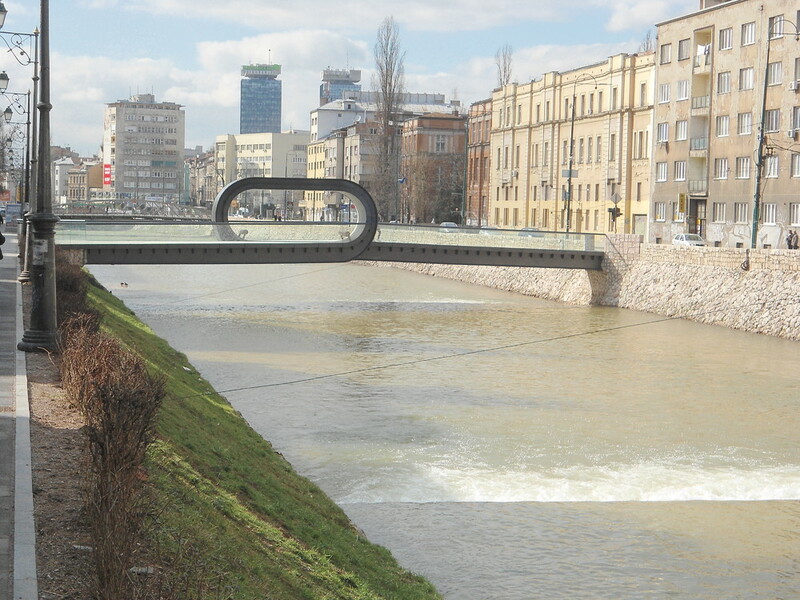 A loop on the river Miljacka. 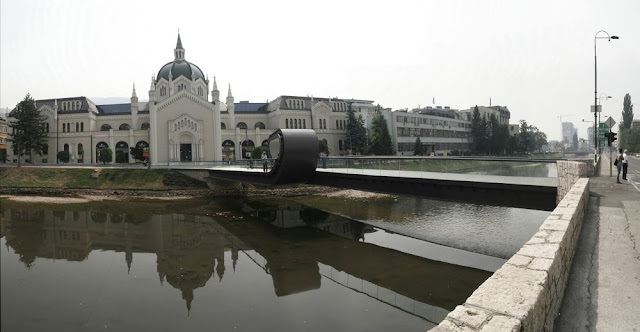 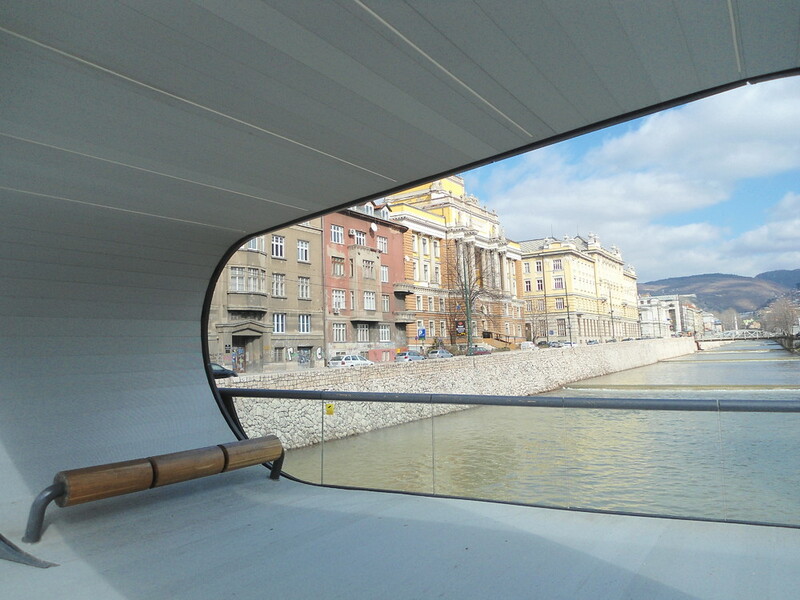 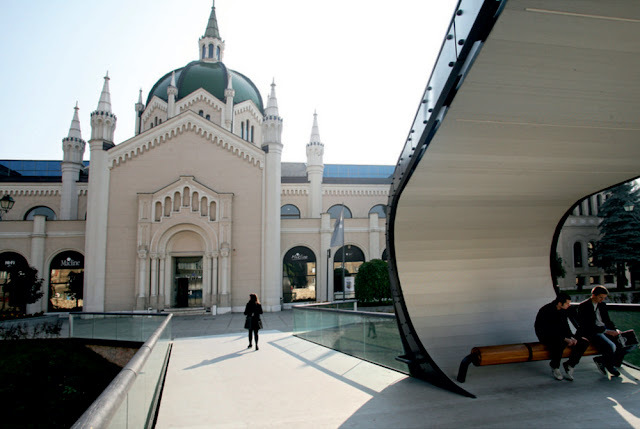 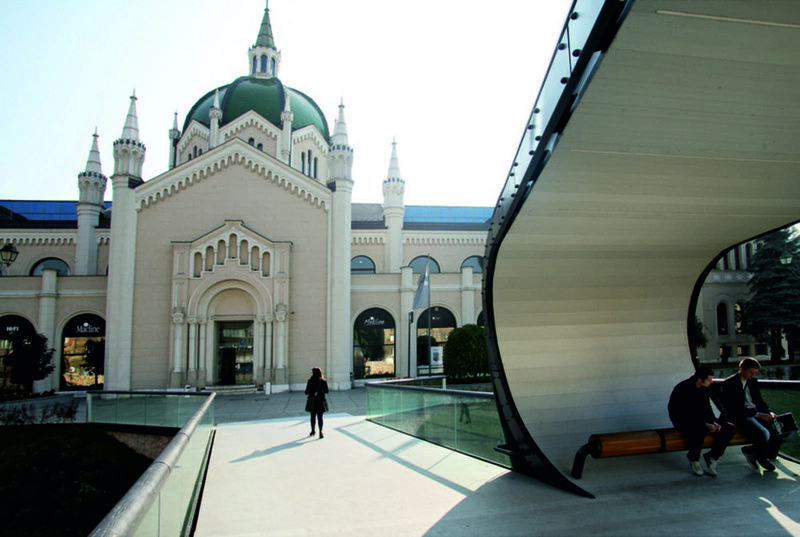 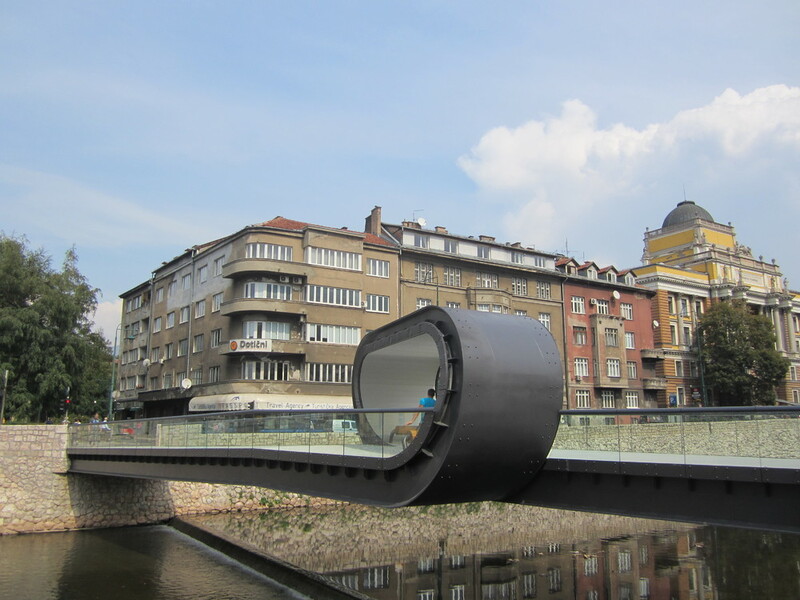 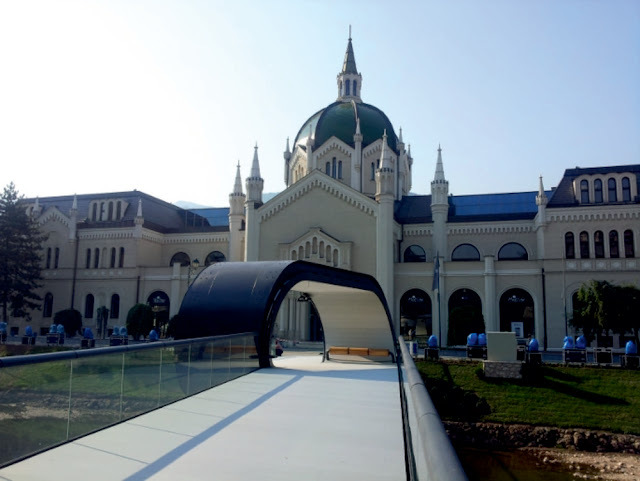 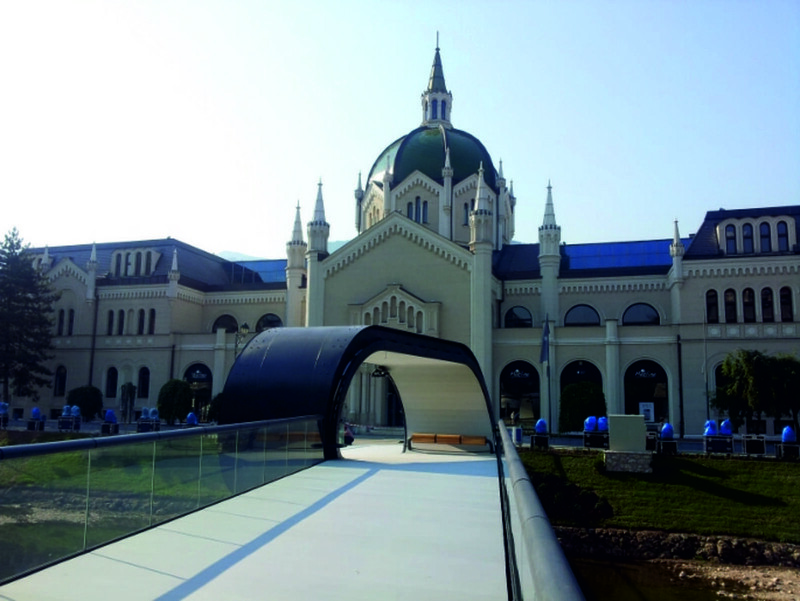 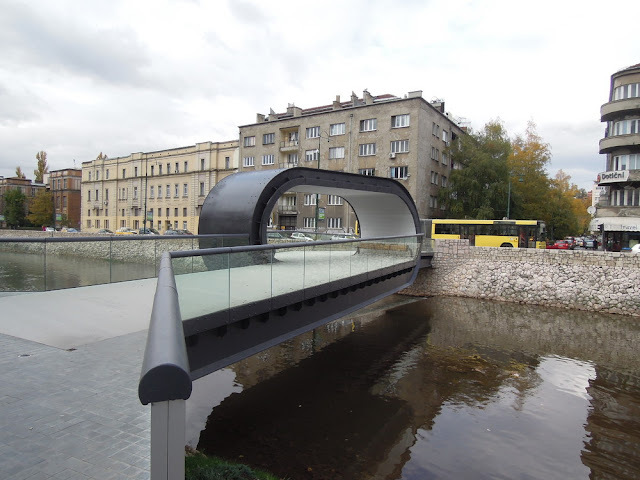 Festina Lente- make haste slowly- is the Latin phrase that gives this bridge located in the city of Sarajevo, built to link the building of a church built in the Viennese Secession, today Academy of Fine Arts, with the oppos ite bank where it develops an important part of the city. The loop set on the bridge is a symbolic door represents the entrance to the historic cities, characterized with huge stone arches. 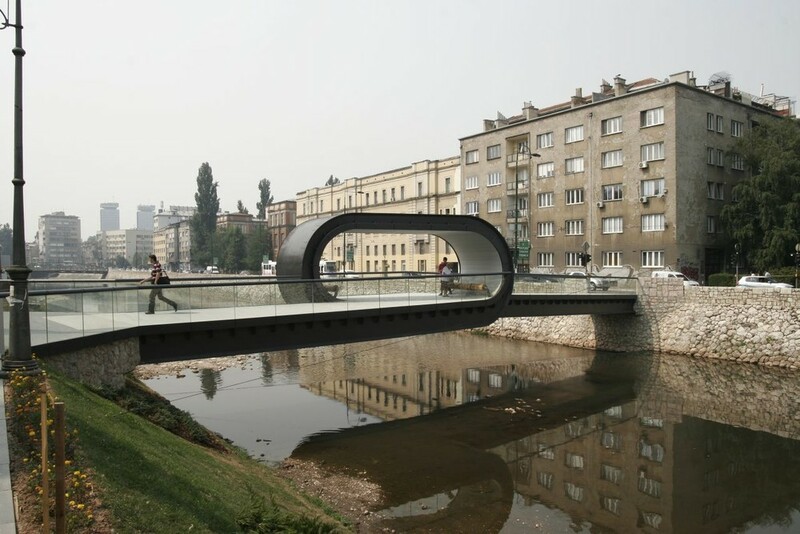 Cross the bridge provides an odd experience, established contact between the landscape and the equipment and favored by the different views provided by the crossing of the loop's pace that articulates the passage of an urban dimension to another. 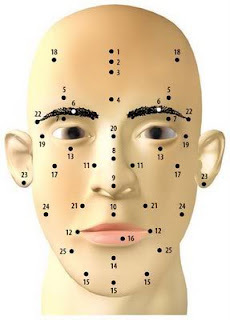 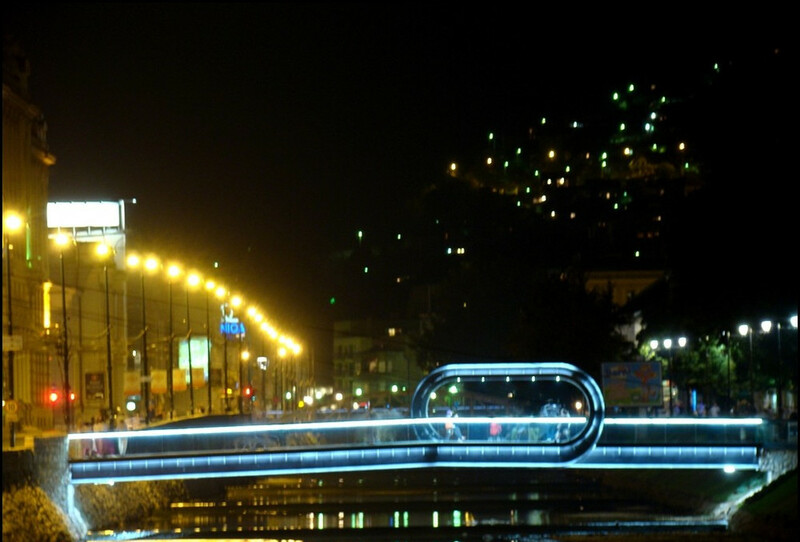 It’s simple form generates an attraction that triggers a series of associations and establishes a new vision. 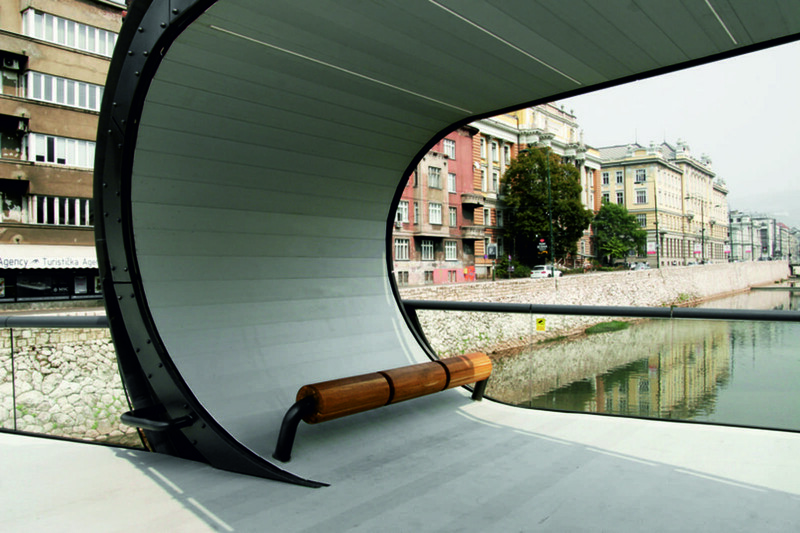 Two banks in ascending sides of the loop foster the encounter and interaction. 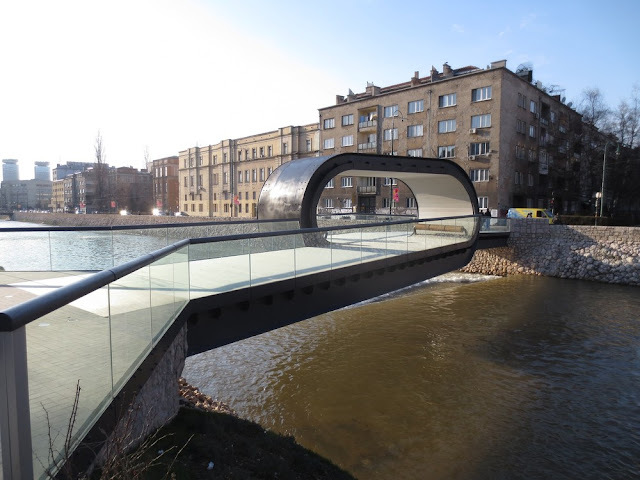 The bridge has a length of 38 meters and was built in steel with aluminum finish. 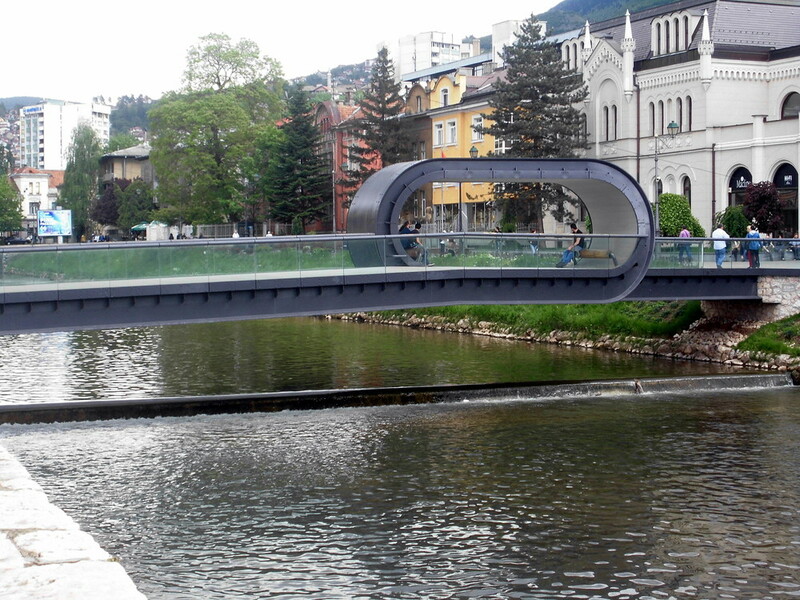 A glass screen low rise acts as a containment perimeter along the entire bridge. 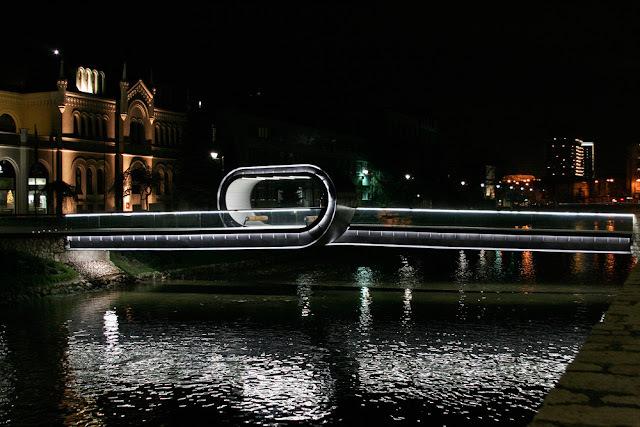 A series of LED lighting elements emphasize the figure of the bridge in the dark of night. 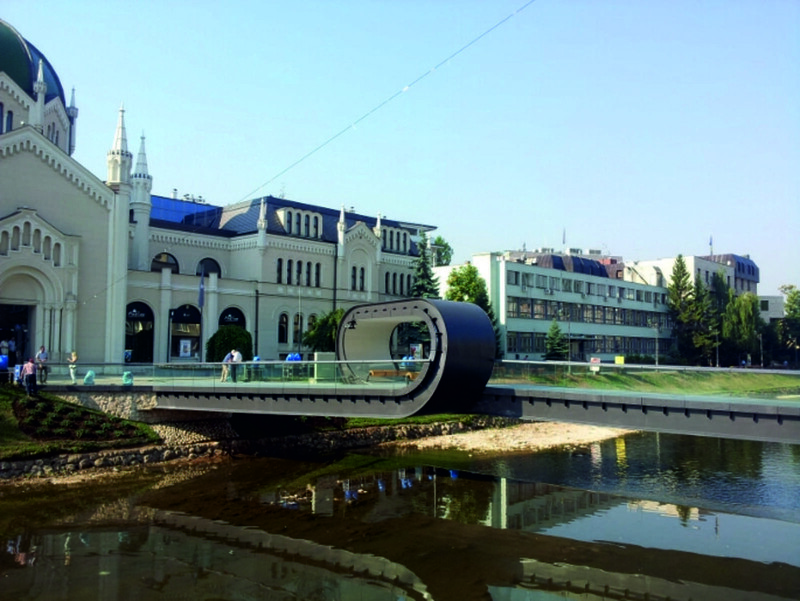 Adnan Alagic, Bojan Hrustic Amila Kanlic and winners have organized for the design of the bridge in 2007. 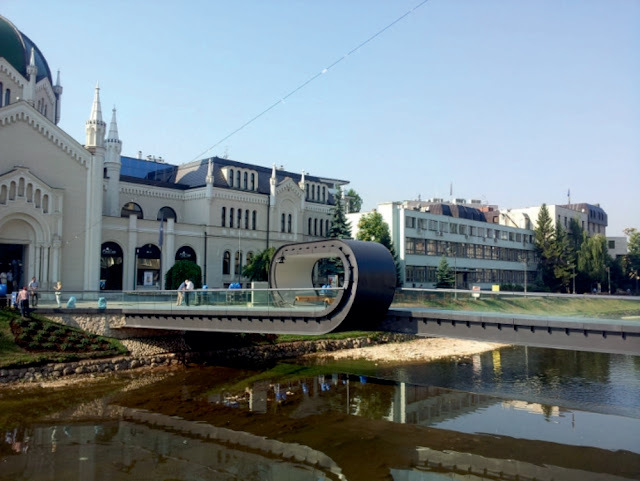 The bridge connects the Mak Dizdar embankment (close to the Academy) with Radic street. 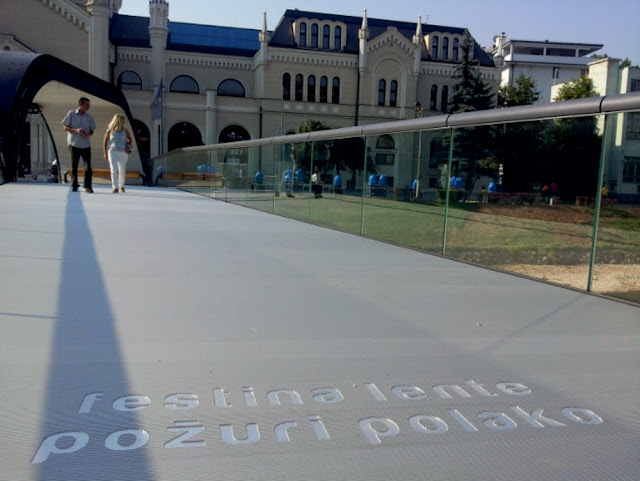 It was officially opened on 22 August 2012.